Those familiar with my background probably know the significance of the contrasting header images above. For the rest of you I would like to offer a few words of explanation: The paving of the Los Angeles River during my youth had a profound impact on me and the direction my life and work would take. It was an example loud and clear of how we all too often destroy the life-giving qualities of a place in the name of progress. This turned me against staying in Los Angeles and becoming an urban architect – instead I sided with nature and began a small rural practice that could direct the reshaping of the landscape much less aggressively while allowing plenty of time for reflection. Now, four decades later, I continue that resolve. The header images represent the on-going struggle between my efforts to preserve nature and my hand in converting her into human habitat. Although these days seem to have more time for reflection than I might like, I feel good that almost all of our projects have been unique and thoughtful responses to their circumstances. While many of these have been natural environments, we have also created numerous urban, suburban and interior projects, both residential and commercial. In fact, it's really the circumstances that are the source of inspiration with much of the conceptualization actually occurring on the site itself – not under the lights and ceiling of our studio. Responding to the unique features of the site, with a constant eye on sun and wind, always suggests innovative solutions far removed from the ubiquitous box with a visually heavy top-hat like roof. Nearly every project causes some destruction of its site – my goal is to minimize the destruction and take advantage of every opportunity that presents itself. It is discouraging to see thoughtless development springing up around me with so many missed opportunities – missed because someone's vision was so narrow they just couldn't see clearly or perhaps because they just didn't care or work hard enough. 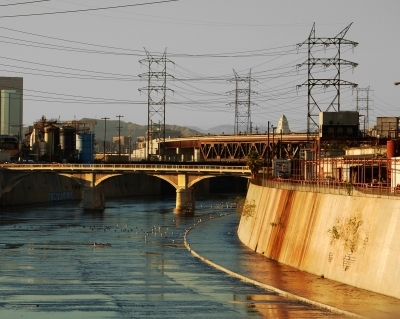 The Los Angeles River is a classic example of this kind of shortsightedness. The river was a unique source of life, habitat, and energy and Los Angles had the chance to feature a river park meandering through it! This opportunity was ignored in lieu of a quick-fix (albeit needed) flood control channel and now, fifty years later, the city is trying to restore some of the river's natural habitat. What a shame – what a waste – what a legacy.